1. Shred lettuce mixture. Assemble tacos by sprinkling 1/3 cup lettuce onto center of each tortilla. 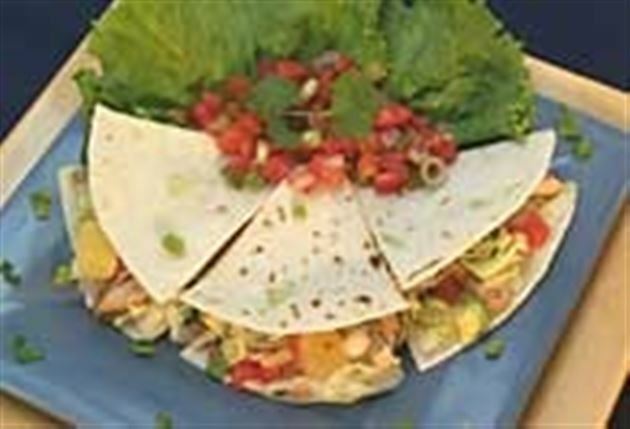 Sprinkle with chicken, pineapple, avocado and 1 tablespoon of salsa, dividing evenly. Fold tacos and serve. 2. Cut each taco into thirds or quarters for demo servings. Enjoy this delicious chicken soft tacos Mexican recipe!